London, UK – Genre Peak is Martin Birke (songwriter, electronic-percussionist,vocalist and co-producer) with variety of collaborations from players and singers from all over the world. The new album “Your Sleekest Engine” features collaborations with Steve Jansen (Japan/David Sylvian), Jon Hassell (Brian Eno/Peter Gabriel), Richard Barbieri (Japan/Porcupine Tree), Matt Malley (Counting Crows) with vocals by Martin, Lesley Braden (Fast Arrow) and Charlie Woodward (Falco/Strinx) Manal Deeb (Palestinian artist) additional bass tracks from the late great Mick Karn (Japan/Dalis Car/David Torn). Co-produced by Christopher Scott Cooper and Martin Birke for In Code Music (Publishing). The album will be released on Gonzo Multimedia UK on March 4, 2016. Says Martin, “The idea of ‘Your Sleekest Engine’ is what I consider things, ideas, concepts that provide the straightest line between point A to B. A syringe, a gun, a synapse, lightning, morphine, a car, plane, I consider these things ‘sleek engines’. I want the music to be designed for elegance but still retain a ‘pop’ sensibility. ‘Your Sleekest Engine’ is 3 years of hard work, networking and intense collaboration with some of my idols in music, it’s a strong and very dynamic album. I’m quite proud of this cause collaboration is best way to work for me. Martin Birke’s original compositions began getting nationally published in 1990. His history as a drummer, keyboardist, programmer, songwriter and vocalist is in a current variety of US & European releases. Starting as a drummer in the late 70s, Martin now specializes as an electronic percussionist, composer and performer. While with the Frank Mark Arts label in Germany during the mid-to-late-90s, Martin was recording and touring in the bands Casualty Park, Sandbox Trio and studio project Birke/Leykam/Panasenko. In 2008 Birke returned to the studio with co-producer/engineer/guitarist Christopher Scott Cooper and decided in recruiting a unique cast of vocalists and musicians consisting of Canadian singer Tara C. Taylor, Japan/Dalis Car bassist Mick Karn, bassist Gustaf Fjelstrom, French rock & electronic composer/remixer Tristan X (Kiss & Fly) and Spanish electronic composer/remixer Alex Brujas. 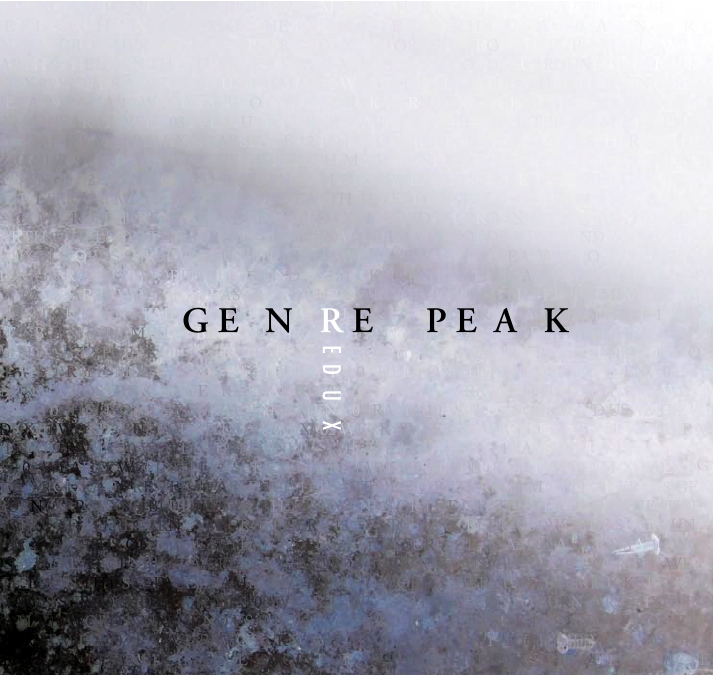 The end result was Genre Peak’s most vital album to date “Preternatural”. The songs featured heavier electronics, darker moods, and percussion effects offset with Karn and Fjelstrom’s fretless bass lines, Taylor’s lilting vocals and Cooper’s high quality production making an album that was very well received by music media and fans around the world. And now “Your Sleekest Engine” once again showcases Martin’s extraordinary compositional and performing skills! Here’s what the press have said about Genre Peak! Martin recently scored music for the upcoming film “Isabela” by Dell Cullum out this summer/fall as well some music for the TV special “Imagination Nature: Galápagos”. Genre Peak will play live around the west cost over the summer and is headlining at SHINE in Sacramento on March 26th. The new live ensemble features singers Charlie Woodward and Tara C. Taylor, Stephen Sullivan on guitar-synths, Paul Relvas on basses, and Martin on electronic-percussion. The band is performing songs from “Preternatural” and “Your Sleekest Engine” and sound great! It’s really hard to do Genre Peak live due to the complexities of the original recordings but this time the band is nailing it! 3/28/2012 – Sacramento, CA – Genre Peak is the music and collaborations of electronic percussionist/composer/producer Martin Birke. Birke is well known for scoring original music for The Alvin Ailey American Dance Theatre, recording and touring internationally with Sandbox Trio, Casualty Park, Genre Peak and most recently with Percy Howard(Meridiem, Bill Laswell) in the duo Hardboiled Wonderland. Genre Peak has released 2 full-length albums Ends of the Earth (2006 in-code Music) and Preternatural (2008 in-code Music). Starting in 2006 as a trio with Martin Birke on vocals and electronics, Daniel Panasenko on Chapman Stick and Stephen Sullivan on guitar-synths and vocals. The trio performed as an electronic rock band around Northern California cities until the departure of Panasenko in late 2006. In 2008 Birke returned to the studio with co-producer/engineer/guitarist Christopher Scott Cooper and decided in recruiting a unique cast of vocalists and musicians consisting of Canadian singer Tara C. Taylor, Japan/Dalis Car bassist Mick Karn, bassist Gustaf Fjelstrom, French rock & electronic composer/remixer Tristan X (Kiss & Fly) and Spanish electronic composer/remixer Alex Brujas. The end result was Genre Peakʼs most vital album to date ‘Preternatural’. The songs featured heavier electronics, darker moods, and percussion effects offset with Karn and Fjelstromʼs fretless basslines, Taylorʼs lilting vocals and Cooperʼs high quality production making an album that was very well received by music media and fans around the world.